Check this out. 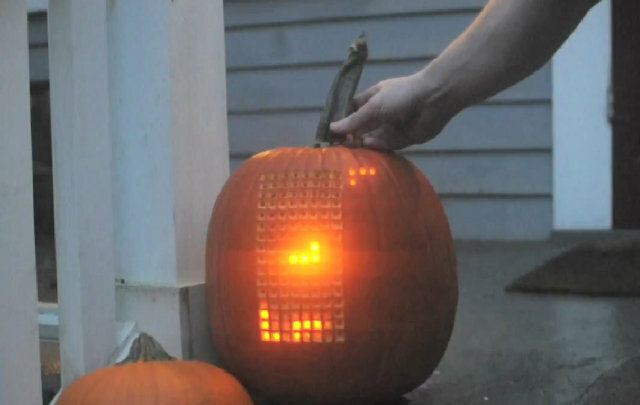 A pumpkin was carved and lit to play Tetris. The stem of the pumpkin serves as your joystick which lets you control and play the game. See the building process HERE.